Click Here To See Wonder Woman #8 Comic Book! Check out this very nice 1987 Wonder Woman page, which was penciled by the great George Perez, and inked by the great Bruce Patterson, from the story titled: "Time Passages!" Four women write how their lives have recently crossed with Wonder Woman's. Julia Kapatelis here, records how she witnessed Diana's mission to America interrupted by anti-superhero hysteria fomented by G. Gordon Godfrey! 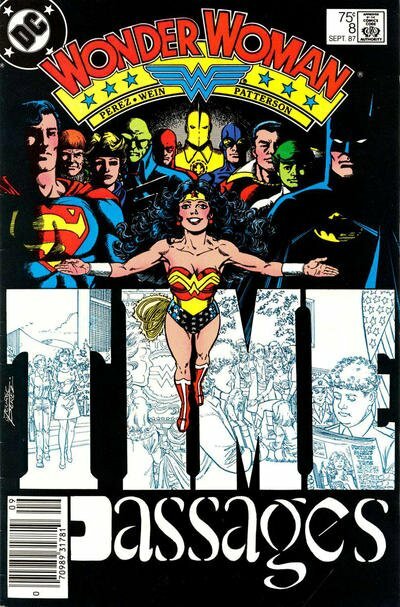 Wonder Woman appears in various incarnations in the top 5 panels. The tiny image of Wonder Woman in the 7th panel is a stat. 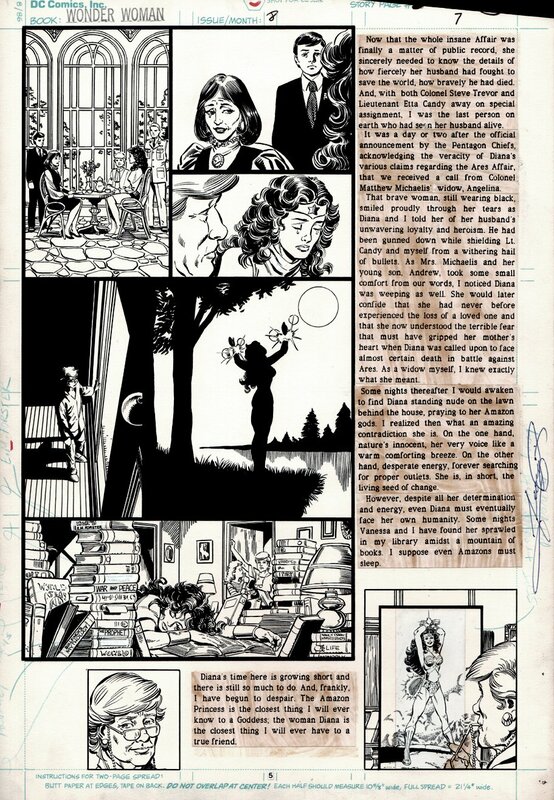 Just A great opportunity here to own a nice 1987 George Perez Wonder Woman page! ALL art on our website (including this one) are able to be purchased with VERY fair time payments, and trades are always considered towards "ANY" art on our website! Just send us an email to mikeburkey@aol.com and we can try to work something out.